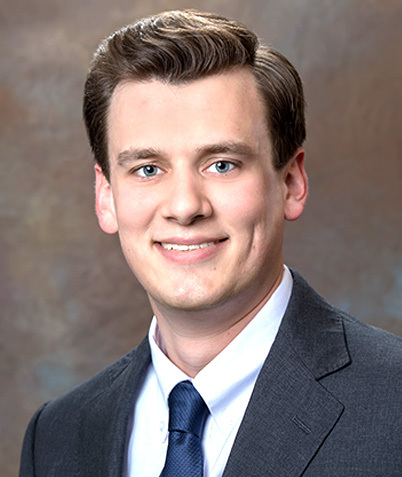 Mark's interest in finance began in 2014 when he entered the finance program at St. John's University in Queens, New York - where he attended on academic scholarship. He found the coursework fascinating and earned his BS from the renowned Tobin College of Business at St. John's in January of 2017. The program prepared Mark well for work in financial planning, particularly in the area of investments and investment management. He began with The Monitor Group, Inc. in February 2017. Mark enjoys working with a fee-only firm and not in a sales environment. He feels fortunate to be with The Monitor Group, Inc. and work with clients of the firm. From the beginning he has worked alongside Paul McNair, attending and participating in client meetings and learning the practice of financial planning and investment management. Mark’s current work is in meeting preparation and follow-up, investment research, tracking and monitoring, portfolio tracking and monitoring and general support of the firm and its clients. He is working toward certification that will eventually allow him to register as an advisor. Mark was born and raised in Griffin, Georgia, spent his college years in Queens, New York and now resides in Beech Island, South Carolina. Outside the office he enjoys playing golf, spending time with family and friends and being outside (when weather permits). He also enjoys rooting for multiple sports teams including the Atlanta Braves, Atlanta Falcons, Michigan Wolverines and St. John’s Red Storm.